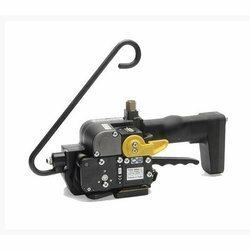 Our product range includes a wide range of pneumatic strapping tool, 32mm polyester strapping pneumatic tool, polyester battery strapping tool, plastic strapping tool, polyester strapping tool and pneumatic sealless combination steel trapping tool. 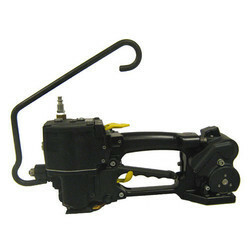 Sealing time, strap tension and tensioning speed are adjustable – which guarantees a high sealing efficiency, appropriately tensioned straps, resulting in perfectly secured packages.Pneumatically powered, very reliable and maintenance-friendly The compressed air can be connected to the tool either on top of the main housing or at the rear end of the main handle. 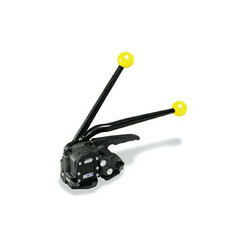 For packages with a rough and hard surface, a bottom-base wearing protection plate is available as accessory. 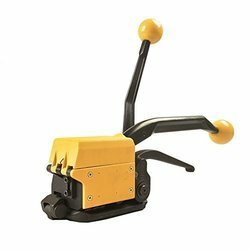 This tool is ideal for a wide variety of vertical and horizontal strapping positions, suitable for almost all applications in various industries. The excellent mechanical features of Polyester strapping often allows the substitution of the traditional steel strapping used in many industries. The outstanding elongation of PET strapping offers a high shock absorption capacity during transportation as well as during handling of the goods. Used in combination with our new plastic strapping tool, model P355, Polyester strapping up to 16.0 mm/5 /8” width and 1.05 mm/.041 “ thickness can be applied. A high seal efficiency is guaranteed an depending on the quality of the strapping, tension up to 2100 N can be reached. P32.2061 - Turning button kit. 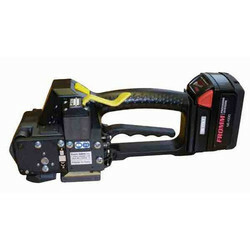 The lightest strapping tool of its kind permits easy operation within a wide working radius. 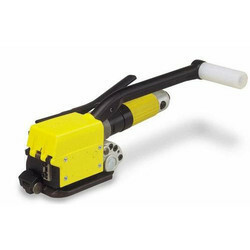 The Fromm A3H is a semi-automatic pneumatic steel strapping tool, ideal for round packages. 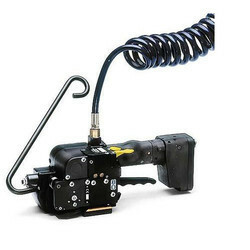 Robust, reliable,simple & cost effective, the A3H is idealy used to strapany package with small surface areas.Boasting Fromm’s superior tensioning force, the A3H hasbecome a proven performer when strapping bars,bundles, pipes and coils.If you need a small, reliable tool with exceptional tensioning, the A3H is the tool of choice. 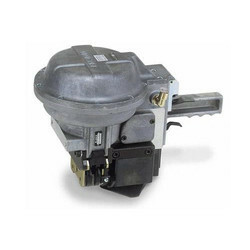 The special tensioning gear-system allows a high strap tension of up to 5,500 N (1,240 lbs) with a limited amount of tensioning effort of only 240 N (54 lbs). An ideal tool for a wide range of vertical and horizontal strapping applications for flat goods in almost all industries. 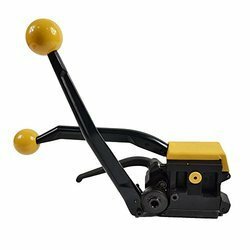 Permits a very easy and efficient operation and outperforms other strapping tools by its ruggedness and its high reliability. The sealless joint reduces the overall strapping. The Fromm A483 is the most rugged strapping tool of it’s kind. 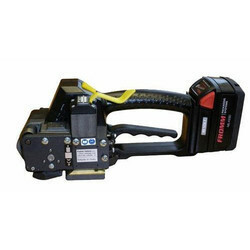 Robust & reliable, the A483 is idealy used for high volume steel strapping. Boasting Fromm’s superior tensioning force, the A483 has become a proven performer when strapping bars, bundles, pipes, coils and other products in the steel industry. 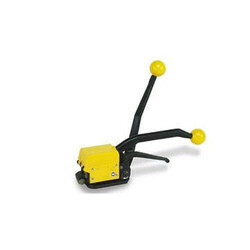 If you need to strap high volumes of heavy duty packages, the A483 is the tool of choice. The Fromm A483 is to be used with ‘’Steel Overlap Seals’ for the best possible seal. These are also provided by Fromm.